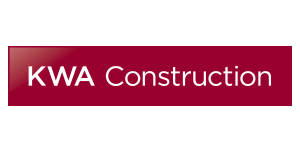 KWA Construction is a Dallas-based construction firm specializing in multifamily developments. As one of the leading general contractors in the industry, their team of experts has developed their reputation by serving from a foundation of values created and realized by each individual who works at the organization. For more information about KWA Construction, visit www.kwaconstruction.com.